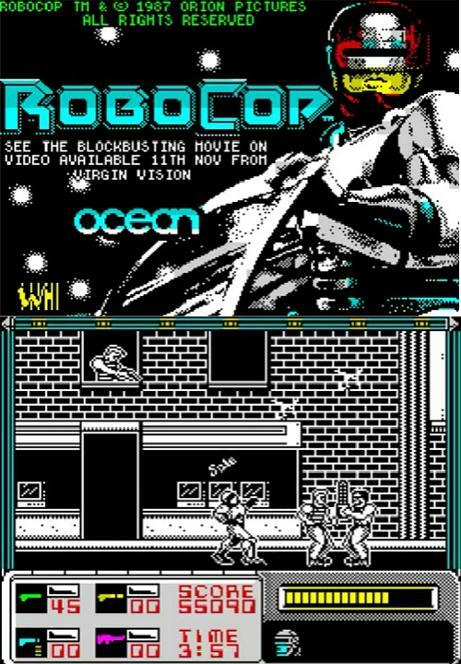 Released by Ocean Software in 1988, Robocop was a side-scrolling shooter that played very differently on each home computer and console version. 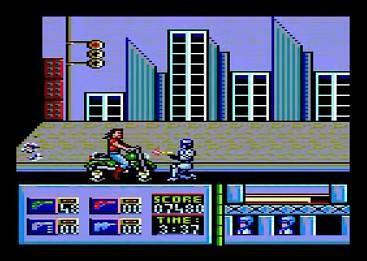 The player is in control of Robocop who walks from left to right, shooting at criminals that are out to kill him using guns, chainsaws, motorbikes or just their fists. By far, the best home computer port was on the ZX Spectrum, and it became one of the biggest-selling Spectrum games, topping the charts for over one and a half years! It received rave reviews, including a Crash! "Smash Award" and 94% in Sinclair User magazine. Some magazine reviews even claimed it was better than the arcade version, although that may have been taking it a bit far. You can judge for yourself using our video playlist above from our Youtube channel. 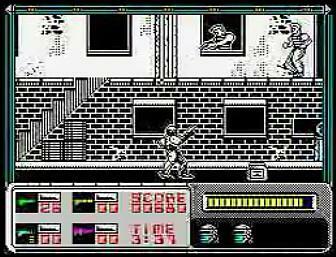 Virtually all aspects of the Speccy game were very decent, including the smooth scrolling, speech, sound effects and animation. Sadly, although the C64 port looked okay, it was almost impossible to complete. Many believe that this is because the game was unfinished and had missing levels, and the incredibly hard gameplay was created by Ocean to hide this. However, this is not the case and the game has since been completed using cheat codes. The final level is a hostage situation, but the ending is extremely disappointing and just presents you with a text message "Well done Murphy. 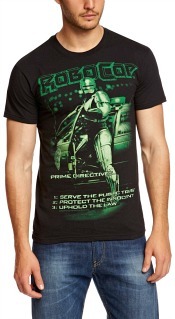 But the fight against crime must continue." and that was it! 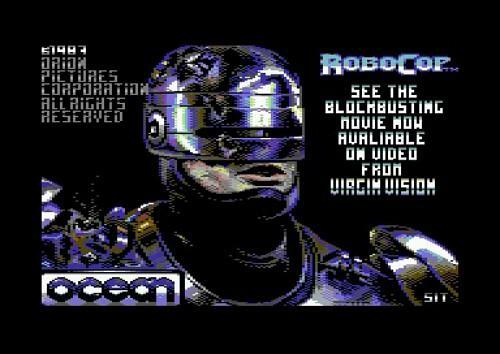 Overall, the C64 game felt like a rush job. Then there was the fact the the original European cassette version of the C64 game was full of bugs, although these were cleared for the US disk version. 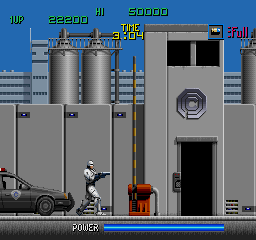 The levels in in all versions were based on scenes from the 1987 film. There are also two stages where the player is taken to a hostage situation and is using his victim as a human shield. The C64, Spectrum and Amstrad versions were only loosely based on the original arcade release by Data East. Talking of which, looking back at the arcade version in the video above, it really was pretty spectacular for a 1988 game and looked ahead of its time. There's no denying that the Amstrad version looks pretty decent. 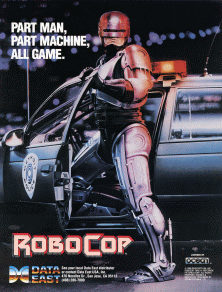 Many games for the machine suffered from jerky scrolling, but Robocop was actually pretty smooth given the limitations of the computer. 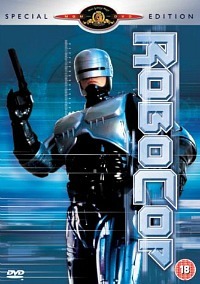 The animation of Robocop and his enemies is excellent, too and even the music is decent. It's just a shame that the gameplay became rather repetitive after a while. There is only so much excitement to be had from shooting the same type of enemies over and over. Overall, the C64 version rates as the worst port, with the ZX Spectrum and arcade versions being the most exciting to play.